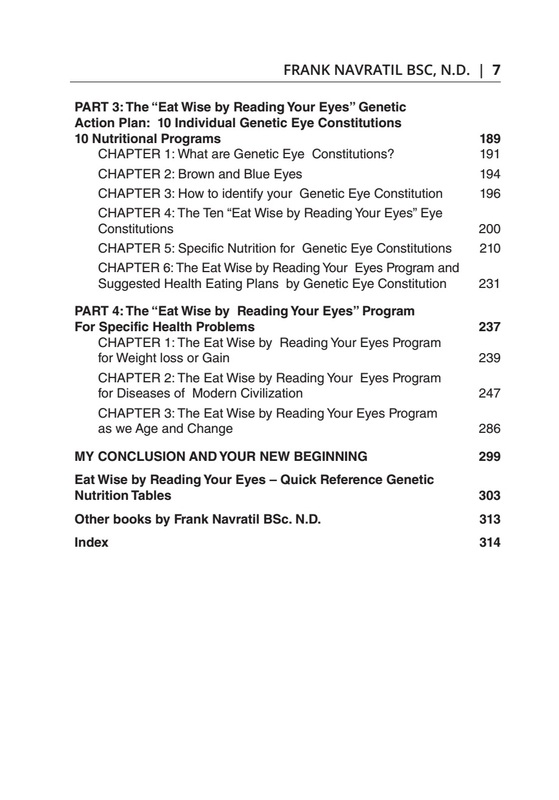 Categories: E-BOOKS, IRIDOLOGY > E-BOOKS, Nutrition > E-books. Are you tired of diets that promise miracles but don’t work? 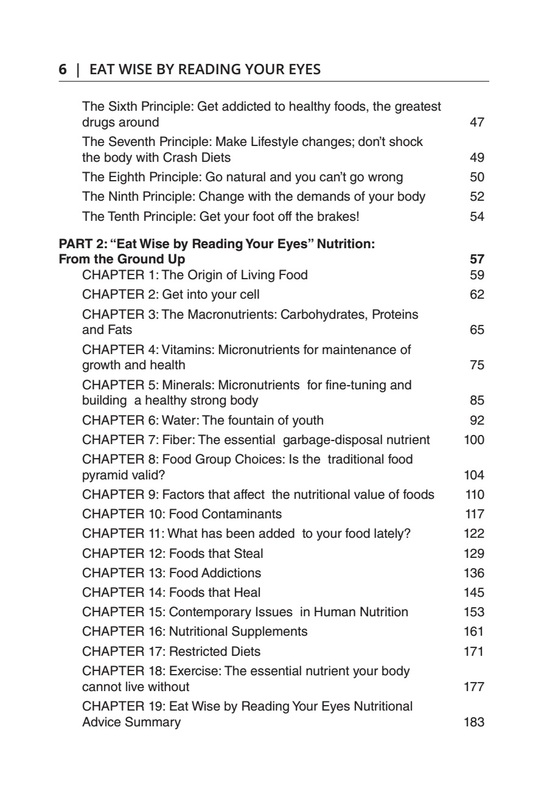 It’s time to embark on an intelligent voyage into nutrition. 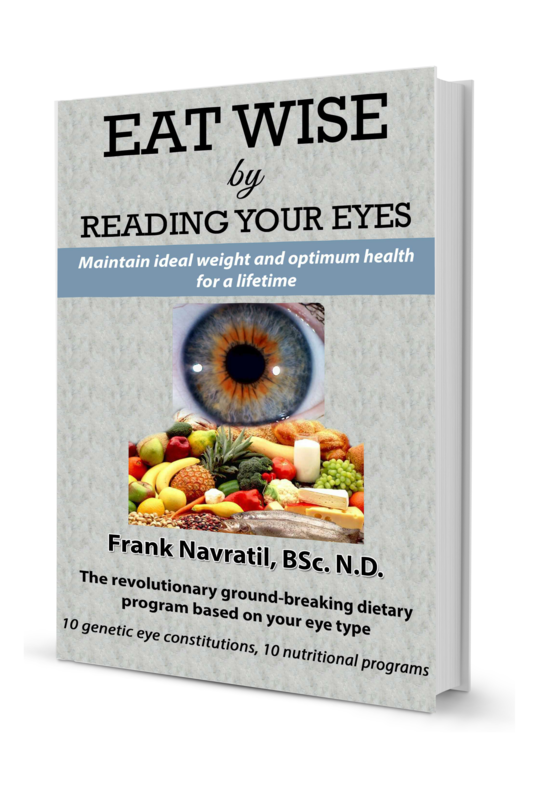 Eat Wise by Reading Your Eyes is your new beginning. Frank Navratil, BSc. N.D., world-renowned author, iridologist, naturopath and clinical nutritionist brings his many years of research and clinical practice together to offer a revolutionary nutritional approach to diet and health that has helped thousands. 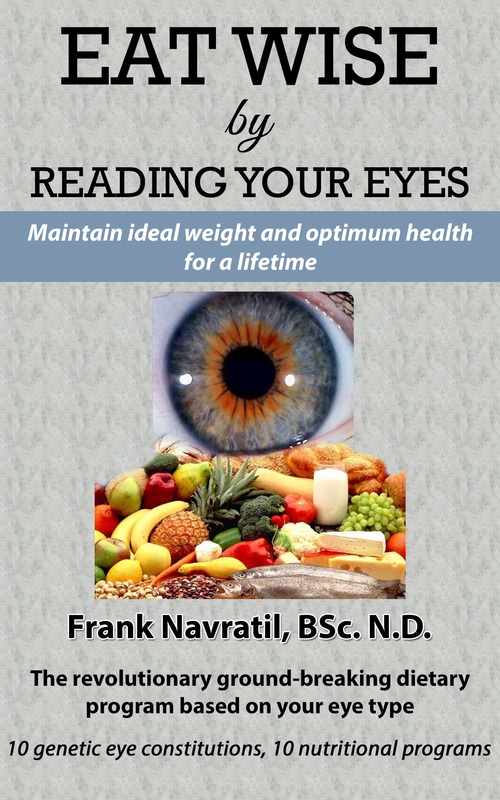 Your eyes hold the mysteries to your individual genetic strengths and weaknesses. 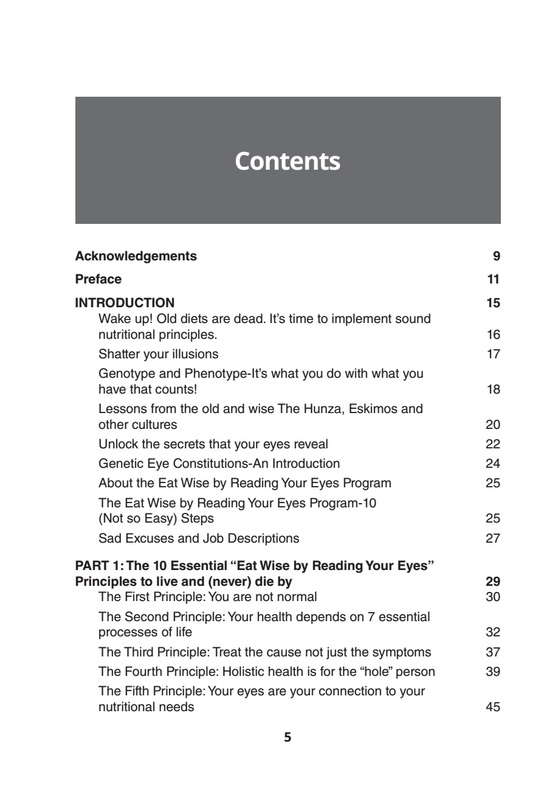 Never before has a book described so well how to learn the secrets about your body’s nutritional needs, so that you can get back on the road to optimum health.